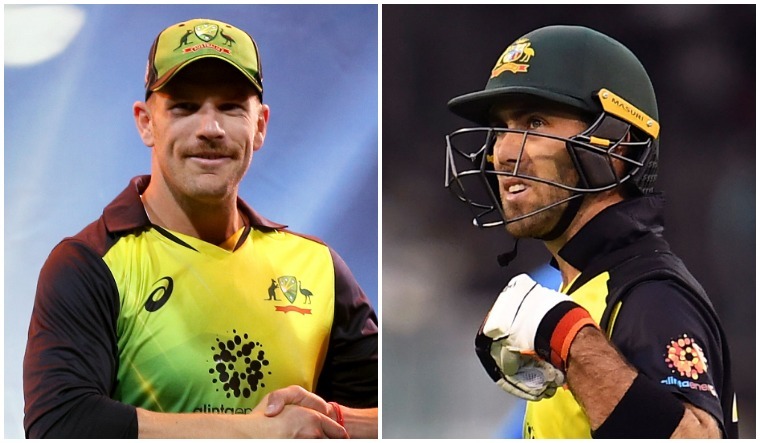 With the 2019 ICC ODI World Cup due to start in a few weeks post IPL next year, Australian players Glenn Maxwell and Aaron Finch have withdrawn from the auctions. Others like Pat Cummins and Mitchell Starc, too, reportedly, haven't registered themselves for the December 18 auction. The Aussies have a packed schedule in the first half of 2019, with India and Pakistan tours and the Ashes, apart from the World Cup. Maxwell and Finch were released by their franchises in November. Maxwell was picked by Delhi Daredevils (now Delhi Capitals) for Rs 9 crore while Finch cost Kings XI Punjab Rs 6.2 crore. Almost all the countries have put restrictions on the participation of the players in the IPL 2019. The World Cup-bound Australian players have been, reportedly, asked by Cricket Australia to return for a preparatory camp by May 2. English players, too, have to return home by April 25, South Africa players by May 10, Sri Lankans by May 6, Bangladesh players by April 15 and Ireland players by April 30. West Indies and New Zealand, however, haven't yet announced any restrictions on their players. The surprise, however, was the entry of veteran Sri Lankan pace spearhead Lasith Malinga. He joined as one of the mentors at the Mumbai Indians camp last season, after he went unsold in the auction in January. Malinga, who has been plagued with injuries of late, has fixed his base price at Rs 2 crore. England all-rounders Sam Curran and Chris Woakes, South Africa's Colin Ingram and Australia's D'Arcy Short and Shaun Marsh, Sri Lanka's Angelo Mathews, and New Zealand's Brendon McCullum and Corey Anderson, too, are part of the Rs 2 crore base-price club. Left-arm pacer Jaydev Unadkat, at Rs 1.5 crore, has the maximum base price for an Indian player. He was the the highest-paid Indian player at the January 2018 auction, with Rajasthan Royals signing him for a whopping Rs 11.5 crore. Other notable Indians in the fray are Yuvraj Singh, Mohammed Shami and Axar Patel, all at a base price of Rs 1 crore. The BCCI is yet to release the fixtures for the IPL 2019, but there are chances that it might clash with the Lok Sabha elections next year. This year's auction will see another change. Auctioneer Richard Madley, who has been the face of the IPL auctions all these years, will be replaced by Hugh Edmeades, a charity and classic cars auctioneer.